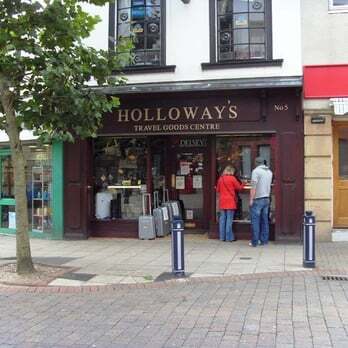 Holloway's Travel Goods Centre in Ashton-under-Lyne is a traditional family business trading in leather goods and quality luggage and accessories from the leading manufacturers. Having recently opened a brand new showroom extension on the first floor of our store, customers can relax whilst our friendly staff demonstrate the latest ranges and offer advice and assistance helping you find the perfect answer to your travelling needs. We’ll be stocking industry-leading brands such as Antler, Samsonite and Trunki, with many more exciting additions in the pipeline! The store will still be stocking core brands such as Radley, The Bridge, Gerry Weber, Kipling, Tilley, Barbour, Hoggs, Samsonite, Antler, and Fulton to name a few, but it will also be bringing in new exciting leading brands. We also pride ourselves on supporting local products, for example Failsworth hats who supply a fine range of men’s and women’s hats and gloves.